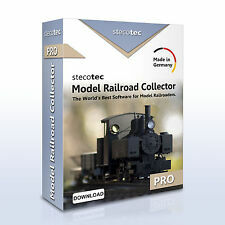 Digitalise your entire model train collection with this sophisticated software. Keep an eye on costs and sales revenue, and create analyses, overviews as well as statistics. You can even calculate the value and appreciation of your collection, create photo albums and much, much more. 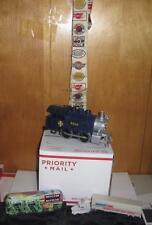 You are bidding on a custom handcrafted N Scale Display Case. You can now display your favorite locomotive or piece of rolling stock in a prototypical fashion with this elegant case. These photos are a approximation of what you will be getting, not an exact copy due to the custom nature of this handcrafted item. I.E. the green grass tuft isn't the same every time. You can also message us and request a custom orders with different landscape, size case or other details and we will provide you with a new quote and listing. Happy Bidding! Please ask any and all questions before bidding. No Returns! TRIX 21230 wooden display cabinet. A nice cabinet with sliding perspex window, which could also be adapted for any gauge up to O (the internal depth is 7.5cm/3" and height is 11.8cm/ 4 11/16ths"). All you need to build this rack is a small file and glue. The rack is made out of 1/8" masonite hardboard with tab and slots. 20" long, 10" deep and 23" tall. There are 72 slots which hold 3 bottles deep. The tin lid has a lithograph showing the interior of the locomotive with two train operators. (see photo ). The glass c andy container is also in good condition apart from a tiny chip. It is unusual to have the original which lid slides on and off (which is why so few still exist)! 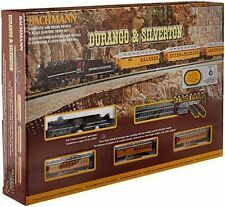 You are bidding on a custom handcrafted HO Scale Display Case. 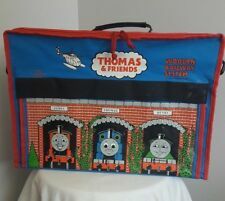 You can now display your favorite locomotive or piece of rolling stock in a prototypical fashion with this elegant case. These photos are a approximation of what you will be getting, not an exact copy due to the custom nature of this handcrafted item. I.E. the green grass tuft isn't the same every time. You can also message us and request a custom orders with different landscape, size case (if available) or other details and we will provide you with a new quote and listing. Happy Bidding! Please ask any and all questions before bidding. No Returns! This is a one ounce bottle of Microscale Industries Micro Kristal Klear. If there was ever a modeler’s secret, this is it. Micro Kristal Klear can do so many things that can make a big difference in the appearance of your models. By Woodland Scenics. Weathered Tie . Includes extra tip. Tamiya Product Number: 35025. Tamiya 1/35 scale Sandbags set. Tamiya produce excellent quality kits that are designed for the serious modeller. These kits are ideal for conversion or as a basis for a super detailing project. Tamiya Product Number: 35027. 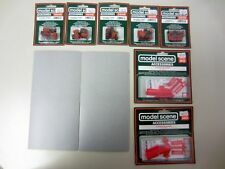 Tamiya 1/35 scale Barricade set. Pieces included for rolled barbed wire infantry obatacle, prepared barbed wire defence, and anti-tank obstacles. Tamiya produce excellent quality kits that are designed for the serious modeller. By Woodland Scenics. Clean precise lines. Trending at C $13.91eBay determines this price through a machine-learned model of the product's sale prices within the last 90 days. By Woodland Scenics. Steel Rail . Paint rails, plates and spikes with a realistic steel color. Includes extra tip. By Woodland Scenics. READY MADE REALISTIC TREES (TM). Natural colors and realistic texture. Dark Green. De chez Parma #30001. boite vitrine HO en plastique avec rail incorporé. boite vitrine transparente en lexan avec tronçon de rail HO de 50cm. version 22" (55,9 cm) - long -. Makes a great addition to your own collection or a fine gift for any occasion! By Woodland Scenics. Yellow . Antique Hardware & Fittings. Everything unique and eclectic. Both in unused condition. Let the good finds roll! This may or may not apply to your country. We're human, and respond well to respect. Don't Be a Fool - Buy from Xaviercool! By Woodland Scenics. N, HO & O-3Rail Scales. Clean those hard to reach areas. Instructions included. This listing is for the handmade, wooden model railroad depot shown. Measures approx. 12" long x 6" tall x 5.75" wide at the roof ends. Undated. Great handmade and painted, wooden model railroad depot. Woodland Scenics Water Tint Olive Drab. Specially formulated for authentic water colors. Model Transparent to opaque water. Use to customize other Water System Products. By Woodland Scenics. Planting pin. This item includes trees only. Assorted green shades. "Mixed Green". Top and bottom pre-drilled for easy hanging. Signs are used and show minimal wear. MLR MFG Co. RT-5007 Radius Tool. 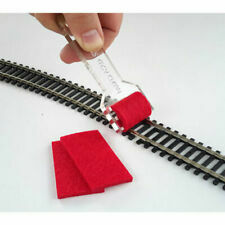 Can be used on O - 027 - S - HO train layouts. I don't think this is limited to any particular gauge. Woodland Scenics Water Tint Navy Blue. Specially formulated for authentic water colors. Model Transparent to opaque water. Use to customize other Water System Products. Will remove marks from Woodland Scenics striping pens. by Woodland Scenics. Works (only) on surfaces painted with Woodland Scenics Top Coat (TM). Use with Woodland Scenics C1291 or C1292 marking pens (not included). Woodland Scenics Water Tint Turquoise. Specially formulated for authentic water colors. Model Transparent to opaque water. Use to customize other Water System Products. North Pole Junction Christmas Battery-operated Train Set- NEW. Condition is New. Shipped with USPS Priority Mail. By Woodland Scenics. FOREST CANOPY KIT. "Dark Green". It may present a choking or other hazard for younger children. By Labelle. bottle of 901 with spray tip and assorted cleaning aids. MOTOR CLEANING SYSTEM. Not intended for use by anyone under 14 years of age . By Woodland Scenics. SCENIC ACCENTS GLUE. Trending at C $5.36eBay determines this price through a machine-learned model of the product's sale prices within the last 90 days. This is an 11 drawer organizer for your desk / work bench. There is also a letter tray on top. The organizer is made out of 1/8" masonite hardboard. All you need to build this organizer is a small file and glue. By Woodland Scenics. READY MADE REALISTIC TREES (TM). Natural colors and realistic texture. "Light Green". Trending at C $12.40eBay determines this price through a machine-learned model of the product's sale prices within the last 90 days. Woodland Scenics White Water Highlight. Highlight water crests, rapids, and waterfalls. Dollys Gallery. 100% acrylic. By Woodland Scenics. A specially-formulated, non-odorous adhesive for applying landscape materials. Scenic glue is a thick, flexible, strong-hold adhesive that dries clear with a matte finish. Water-soluble and non-toxic. 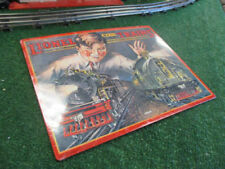 4 Currier & Ives Iron Horse Series Placemats Steam Train Art 16 3/4" X 11"